St. Martin's Paperbacks, 9781250049513, 384pp. 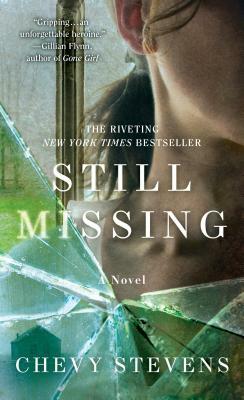 On the day she was abducted, Annie O'Sullivan, a thirty-two-year-old realtor, had three goals—sell a house, forget about a recent argument with her mother, and be on time for dinner with her ever-patient boyfriend. The open house is slow, but when her last visitor pulls up in a van as she's about to leave, Annie thinks it just might be her lucky day after all. Interwoven with the story of the year Annie spent captive in a remote mountain cabin—which unfolds through sessions with her psychiatrist—is the second narrative recounting the nightmare that follows her escape: her struggle to piece her shattered life back together, the ongoing police investigation into the identity of her captor, and the disturbing sense that things are far from over…in Still Missing.